I’m just gonna put this right up front. I started two new projects this weekend. That puts me at 11. I’m feeling a slight tinge of guilt about breaking the 10 project limit rule. Thank goodness there are no knitting police. I could try to rationalize my over eager casting on in lots of ways but mostly it comes down cashmere. I just can’t resist! This first cashmere project should really be grandfathered in. It’s been in and out of the queue all year. I think I’ve finally gotten it right! 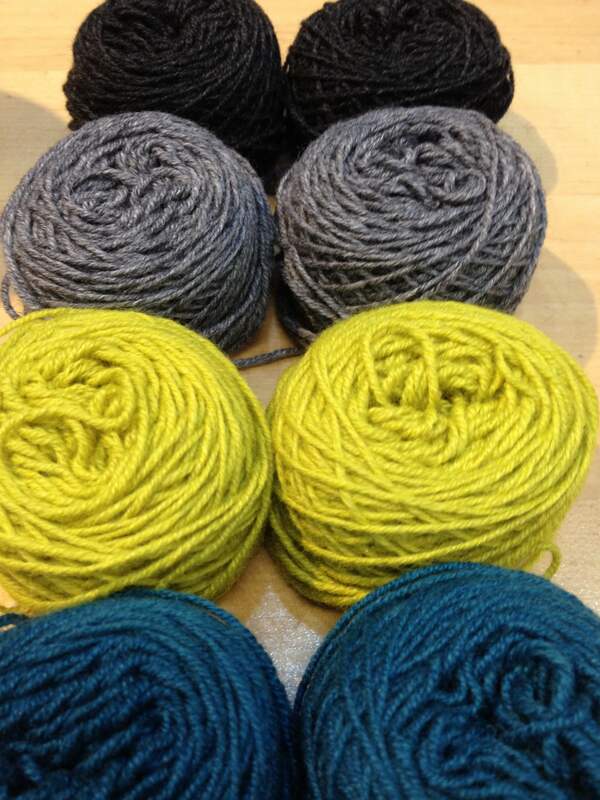 I love this combo of yarns, Crystal Palace Panda Silk (bamboo, merino, silk, fun!) and Filatura Di Crosa Superior Cashmere (the same yarn my recent cashmere cardigan used!). I was happy to frog things that weren’t working. This time though, there are no frogs in sight! The cluster of beads on the left is Musca, just to left of that I’ll start the Southern Cross on my next row! 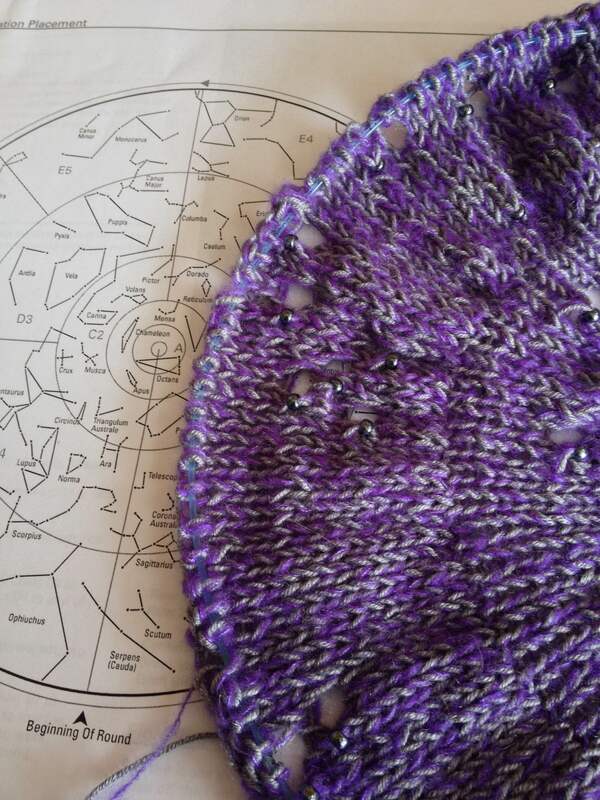 The pattern is Southern Skies, a circular shawl with beads to match the constellations of the southern hemisphere! I’ve wanted to knit this for a while but I’m not into the circular shape…so now I’ve combined the pattern with yarn ear marked as a gift. Two birds with one stone…this is going to be an awesome gift and I get knit the pattern without fretting over if I’ll like it! 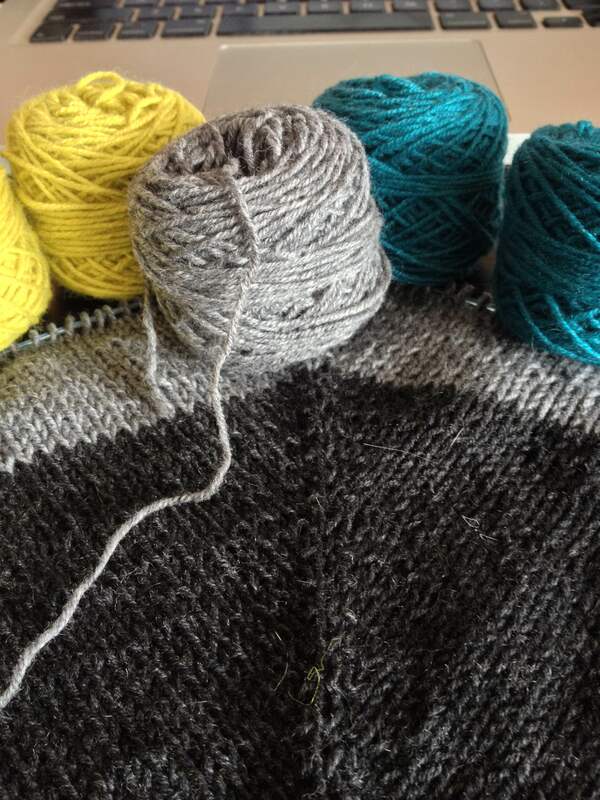 So far, I love it…it’s a lot of fun to knit! I stayed up way to late last night working on this one! Pepperberry Knits Mini Skeins! Sport weight, 100% Cashmere, Awesome Colors! It was Friday. I was ‘celebrating’ the new job. It’s cashmere?!? Of course, it had to come home with me. I had 10 projects on the needles but resistance was futile. Plus, I needed something easy to work on at the new job. The return of lunch time knitting is the best thing about having to go to an office for a couple weeks! The chartreuse comes next!! I can’t wait to add the colors!!! 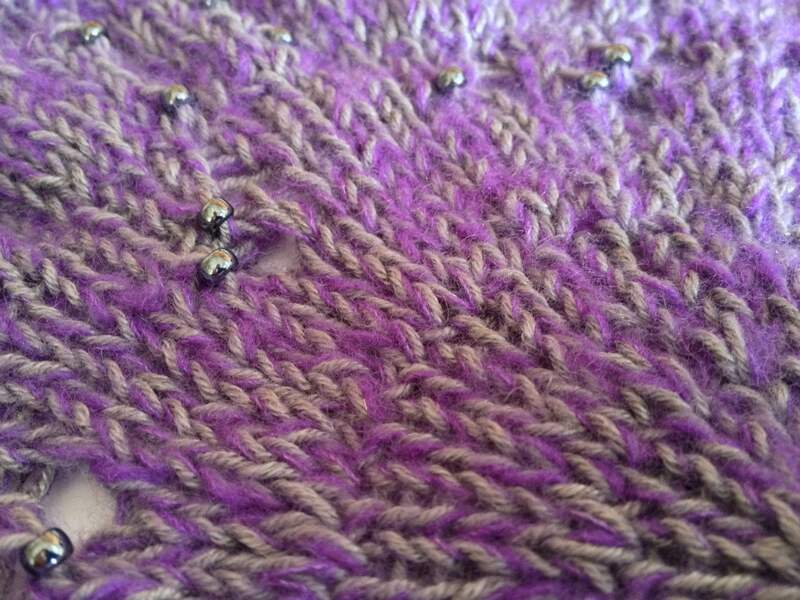 I really like the purple shawl but the colors of your other project are such an eye popping combo. I’m trying to remind myself I have a serious deadline with my Rhinebeck Sweater, I can’t be messing around with cashmere. It’s not working! LOL! Those are some great colors – who could resist? hahaha I say Because Cashmere (or baby alpaca nom nom) a LOT. I just Can. Not. Resist!! Gorgeous! Congrats on the new job. Oh my days- cashmere, and that shawl as a gift??? Wow, you’re stronger than me! Even if I wouldn’t wear it, I think I’d still want it around to pet from time to time! If I end up liking it, I can do the Celestarium for myself…that’s the northern hemisphere version! I love the blue/green/grey/black color combo. Beautiful! By the way, I’ve nominated you for the Liebster Award! Thanks! Looks like a fun way to find new blogs, I look forward to checking out the rest of your list!